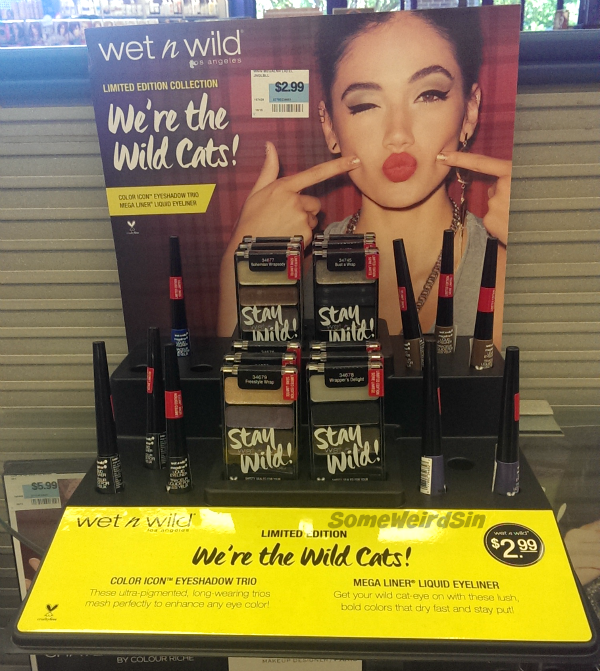 CVS - ExtraBucks deals on Sally Hansen, Revlon, CoverGirl, Maybelline, and L'Oreal. BOGO50% on Milani and NYX. 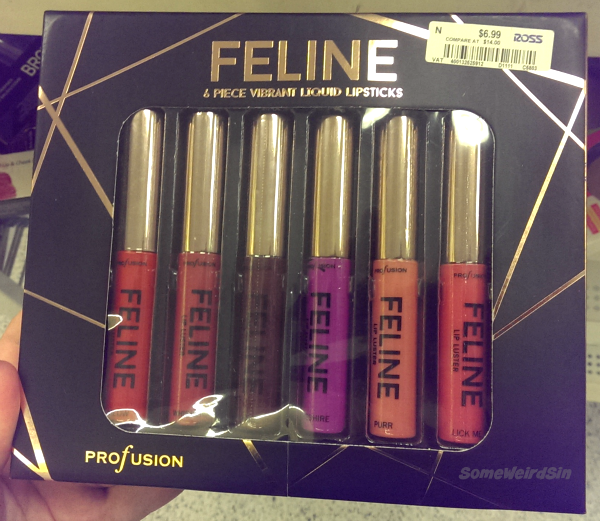 Rite Aid - 40% off Revlon and Physicians Formula, BOGO50% off Halloween cosmetics, BOGO50% on Jessie's Girl/Julie G/Bonita, BOGOFree on Sinful Colors. 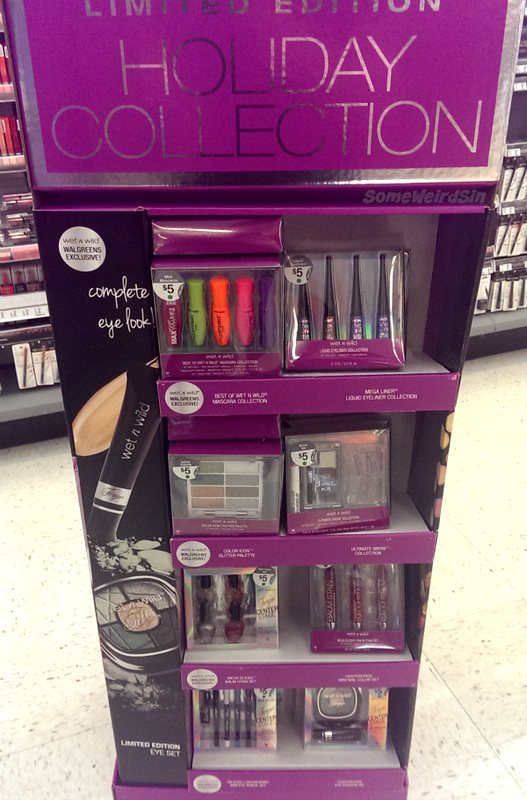 Walgreens - BOGO50% on Maybelline, L'Oreal, and Revlon. 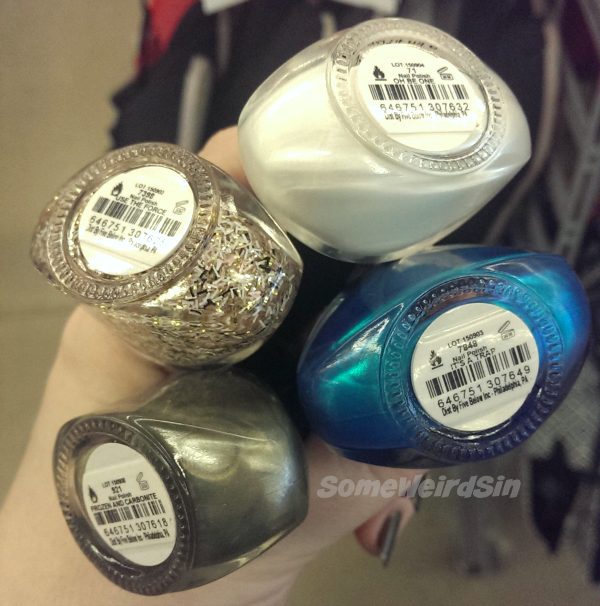 I went into Five Below on a whim and found four new Funky Fingers Star Wars polishes! They're more exciting than CoverGirl's Star Wars yawnfest, that's for sure. I wound up getting Frozen And Carbonite (and?) and It's A Trap. You'll see them on here at some point. I almost went with Use The Force too, but I decided against bar glitter. I have no idea what this collection is actually called because the store didn't have signage for it and it's not on the Five Below site yet. When I saw these, I literally did a double take. Blue lipstick in Target!! Aaaaah!! I bought all three and will swatch them ASAP. 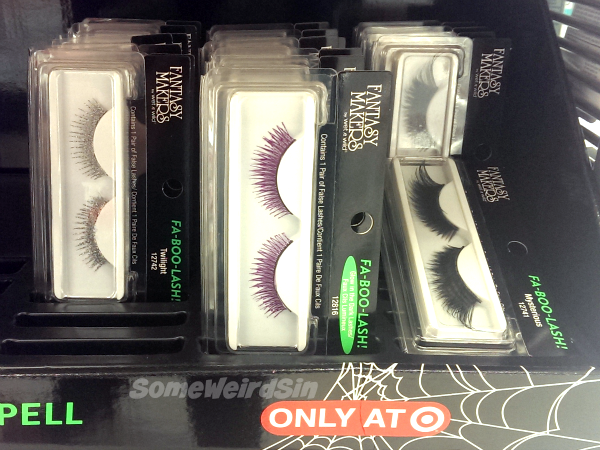 I don't wear false lashes, but I still almost bought Mysterious because they're gorgeous. I don't wear false nails either, but I love the look of these. I kinda want to do a gradient french like the display art now. They're about the length of my natural nails too. Color Icon in a Spoiled bottle? Ok then. I haven't bought my picks from this collection yet, but there are a few I'm eyeing. I'd love to see recommendations/caveats if you have any. More temptation. I have a serious Wet n Wild palette problem, even though I rarely wear (or swatch) makeup these days. 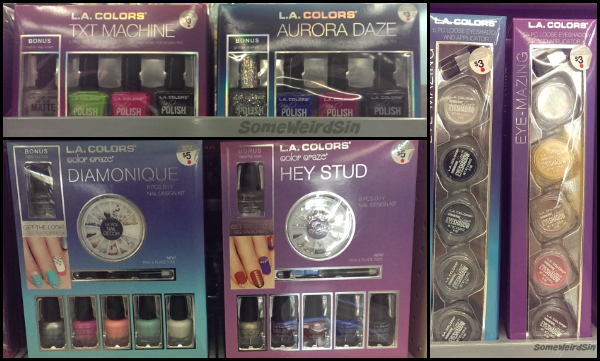 My first sighting of the Rite Aid version of this collection. 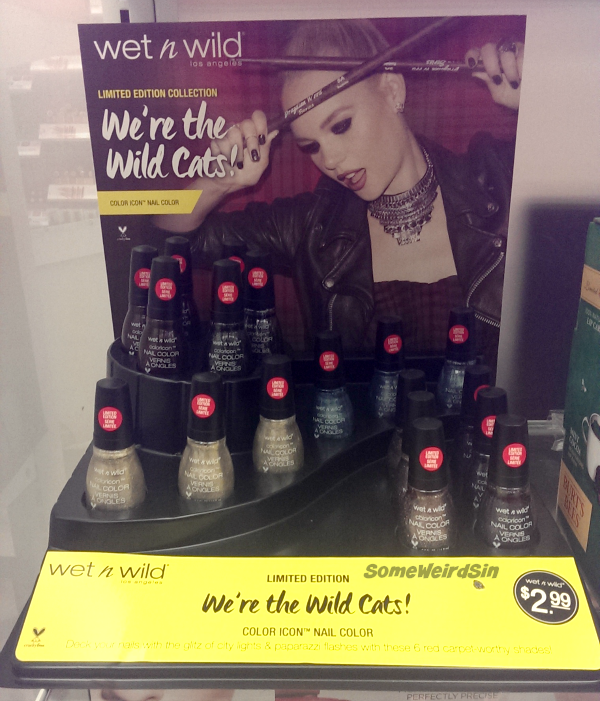 Walgreens definitely got the better bunch, but I'm happy to see an old shade return. Moss Have was one of the first polishes I ever swatched. Now I have an excuse to reswatch it and a few others. I'd heard about this, but I rarely go to JCP, so this was my first time seeing it in person. 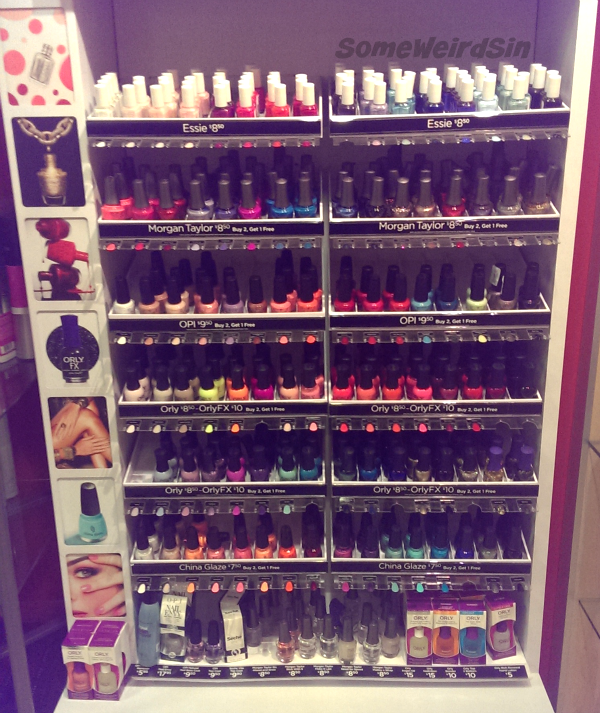 I didn't buy anything, but it was cool to see Morgan Taylor polishes. My first in-person sighting of those too. They have a permanent BTGO deal, which is cool. If you went looking for these at Walgreens months ago and never found them, try Ross Dress For Less. I have Prowl and Cheshire. Prowl is so-so, but Cheshire's great! I almost bought this so I could try the other four. 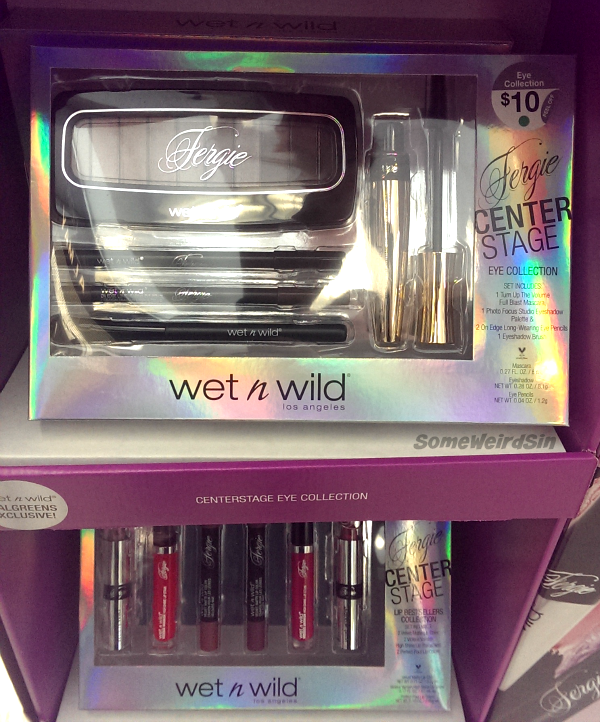 So far my xmas sightings (aside from the Wet n Wild collections) have all been gift sets. I found a bunch more at Walgreens. If you missed last week's shopper, check it out for even more sets. How cute is this year's set? 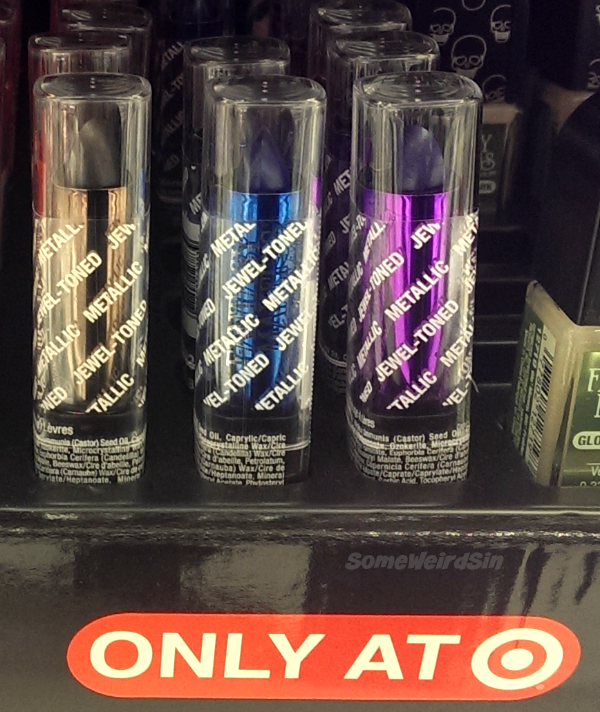 It's minis of a lot of the shades they have at Dollar Tree (including what I think might be Fruity), with a few more that I'm not sure I've seen before. There are also french tip guides, an instruction booklet, and stencils. 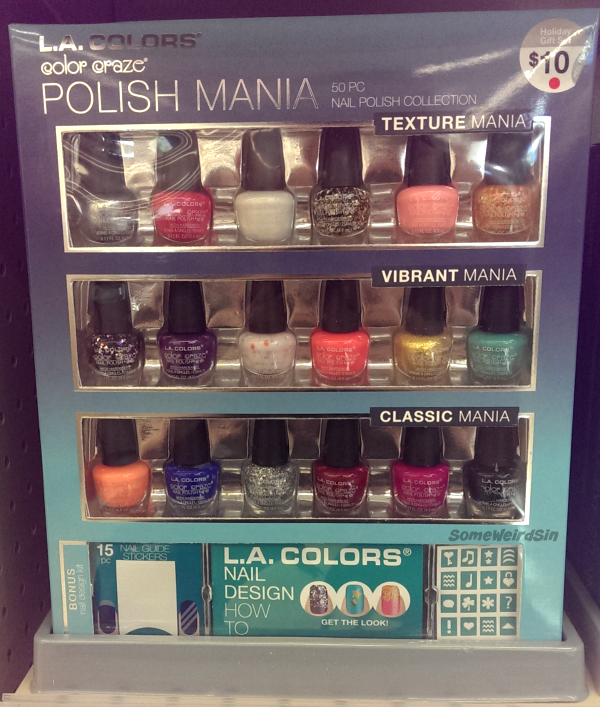 This would be a fantastic gift for a teen/preteen girl just getting into nail art. 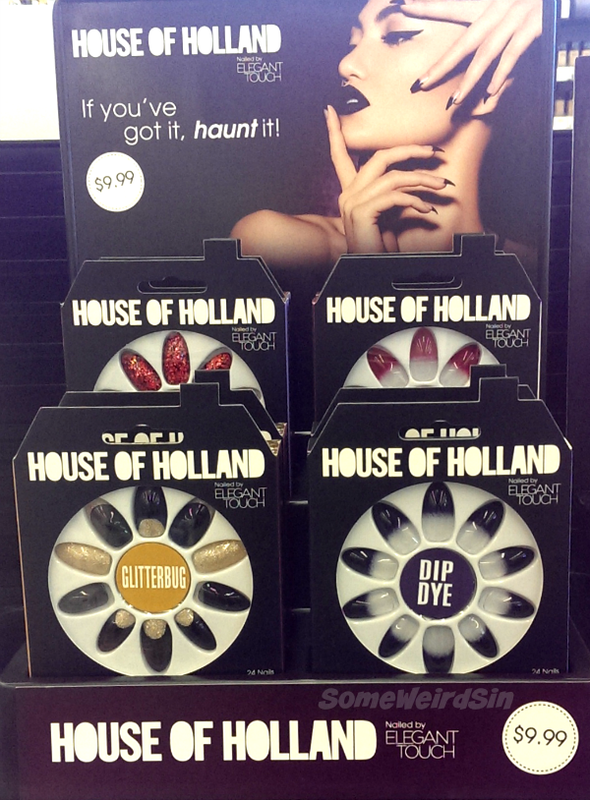 I knew there had to be more nail sets! They're similar to gifts we've seen from L.A. Colors before, but with an even stronger focus on nail art. The stud and rhinestone sets even come with a placing tool. The Wet n Wild sets I showed you guys last week showed up in this big tower, and they brought friends! There are at least ten different sets, with a really wide and complete range of offerings. That's all for this week, but something tells me it won't be too long until I'm posting another one. 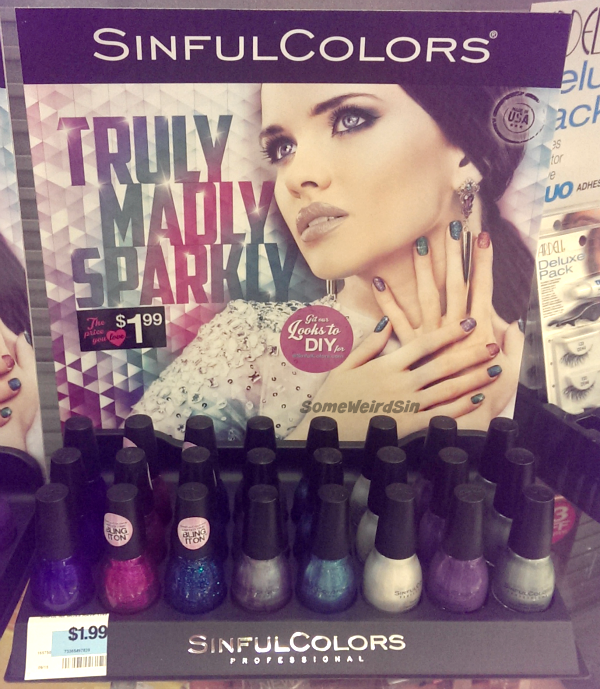 While I still have you... Did you hit up the Sinful Colors sale at Walgreens last week? How was your luck? Mine stuuuuuunk.